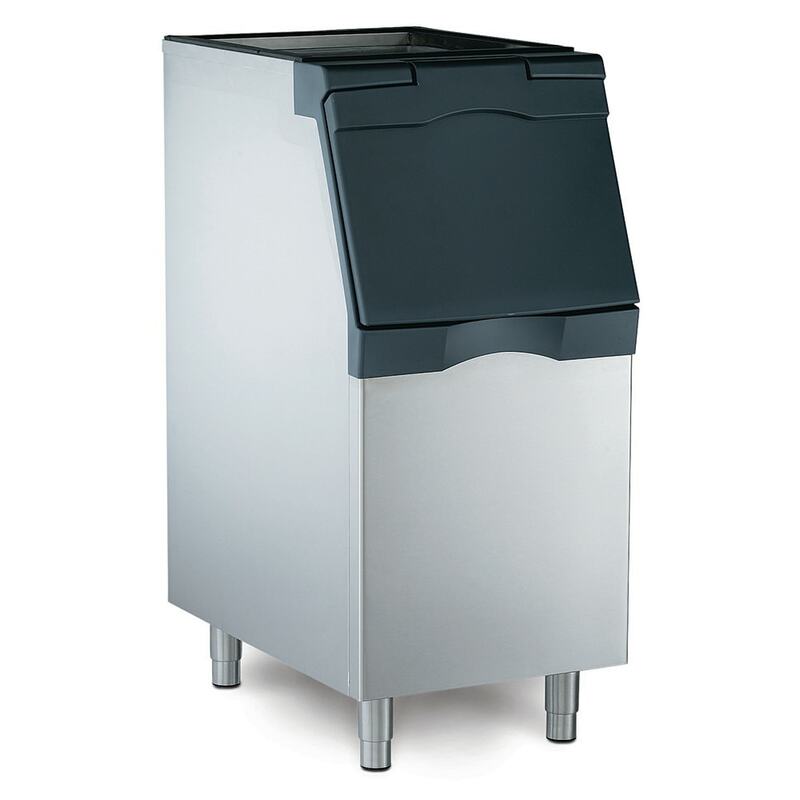 The Scotsman B322S ice storage bin pairs with Prodigy Plus® ice machines and other units from Scotsman. The stainless steel construction makes the unit durable and resistant to scratches and corrosion. Cleaning the interior is easy since it is made from polyethylene; it is also sanitary and scratch resistant. Cold air is retained in the bin with foamed-in-place polyurethane insulation. The spring-loaded door is easy to open and close with the hidden hinges. 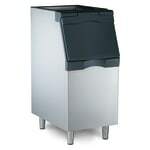 Installation of the Scotsman B322S ice storage bin is flexible with the recessed drain fitting. The bin's baffle easily removes for cleaning. An ice scoop is included, along with a built-in holder to keep ice sanitary.